So you’ve heard everyone talking about hyaluronic acid and you want to know what all the fuss is about. You’ve come to the right place! Hyaluronic acid is one of the skincare ingredients of the moment and luckily, we know a thing or two about it. #1 What is hyaluronic acid? Hyaluronic Acid is a naturally occurring sugar molecule that can be found throughout our bodies, with half of it being found in our skin. It’s a major component in our skin’s framework and has the ability to hold 1000 times its weight in moisture, which is why it’s best known for keeping our skin looking plump and youthful. Unfortunately, as we age the amount of hyaluronic acid in our body declines, causing fine lines, wrinkles, dullness, sensitivity and more. #2 How does hyaluronic acid work in skincare? The natural hyaluronic acid levels in our bodies fall as we grow older. When combined with environmental aggressors, this can have an impact upon the youthful look of our complexions, which is why many look to hyaluronic skincare for its anti-ageing, hydrating and plumping properties. How the ingredient works depends in part upon what molecular weight is used. When applied topically, hyaluronic acid either penetrates the deep layers of the skin (low molecular weight) to stimulate hyaluronic acid production and target ageing concerns, or it creates a moisture shield over the surface of skin (high molecular weight), which smooths dehydration lines and keeps skin optimally hydrated. #3 Are all hyaluronic acid skincare formulas created equal? In short, no. Hyaluronic acid comes in different molecular weights and concentrations (this is often reflected in the price). For skincare, the lower the molecular weight the better as these will penetrate deeper into the dermis and provide better results. And like all skincare formulas, the higher the concentration, the more powerful the formula. An important thing to remember when shopping for hyaluronic acid is that when it’s listed on a label as ‘hyaluronic acid’ they’re referring to pure hyaluronic acid. You may also come across sodium hyaluronate and sodium acetylated hyaluronate, which are hyaluronic acid derivatives. These are commonly used in skincare as they’re more easily absorbed into the skin and help more with hydration, while pure hyaluronic acid at a low molecular weight is best for targeting anti-ageing concerns. 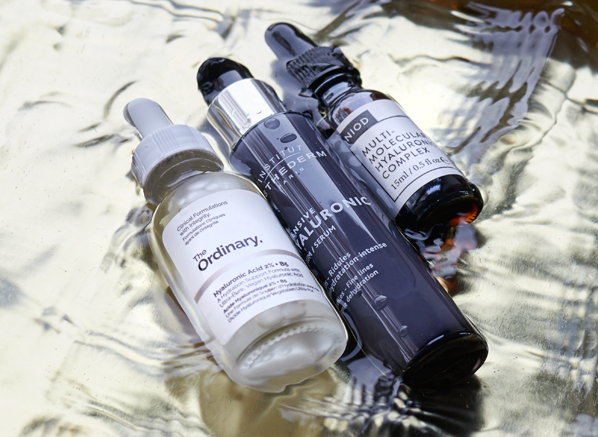 If you’re looking for an introduction to hyaluronic acid skincare this is where you should start. The Hyaluronic Acid Serum 2% + B5 doesn’t contain pure hyaluronic acid, but it does contain the hyaluronic derivative, sodium hyaluronate at a 2% concentration. A great quick fix choice for surface dehydration, this purse-friendly pick contains 3 molecular weights of sodium hyaluronate (low, medium, high) that deliver hydration deep down, while added B5 1% works to soothe and repair. Perfect for all skin types and ages, this serum also contains a next-generation HA crosspolymer that offers multi-depth hydration that stops moisture leaving the skin, which can often happen with larger molecules of hyaluronic acid. There’s no question that MMHC2 is a step up from The Ordinary. It contains 15 different hyaluronic acid technologies, marine extracts and hyaluronic precursors that encourage the skin’s own production of HA and yes, you guessed it, pure hyaluronic acid at 1%. 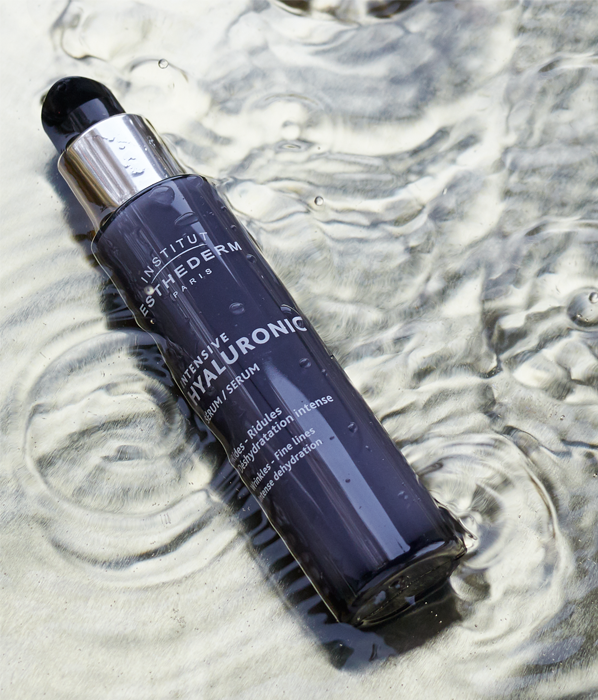 The Multi-Molecular Hyaluronic Complex is a great all-rounder for anyone looking to take their hyaluronic acid skincare to the next level, it will aid moisture retention but also help counteract signs of ageing like fine lines and wrinkles. 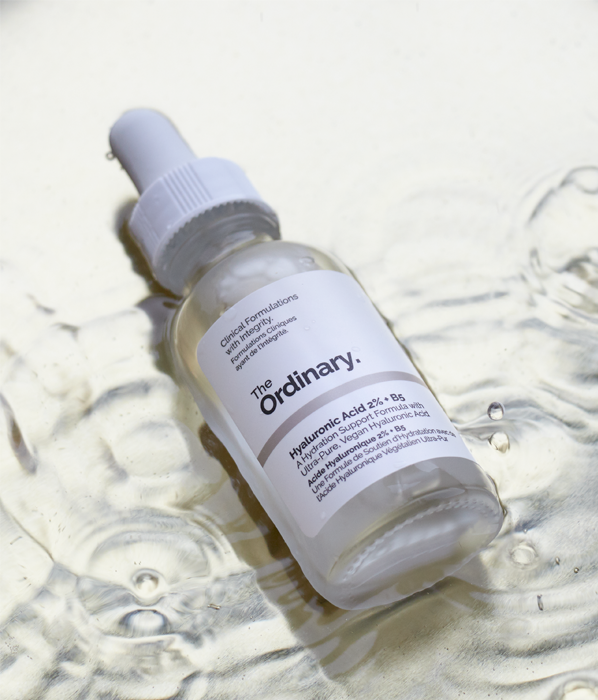 In total, the hyaluronic acid technologies within this serum rally up to a whopping 22% of the total formula, plus it has a new peptide technology that mimics the increased cell turnover you get from retinol, without any of the irritation of sun sensitivity. If you’re serious about hyaluronic acid you’ll want to add the Hyaluronic Acid Serum from Institut Esthederm to your basket stat. Of the three hyaluronic acid treatments in this post, this serum contains the highest concentration of pure hyaluronic acid at 3.05% – it means business! The high-tech milky serum is made up of 3 forms of very pure hyaluronic acid at different molecular weights, which penetrate the deep layers of the epidermis in order to redensify contours, and fill in fine lines and wrinkles, all while delivering intense hydration both deep down and on the skin’s surface. 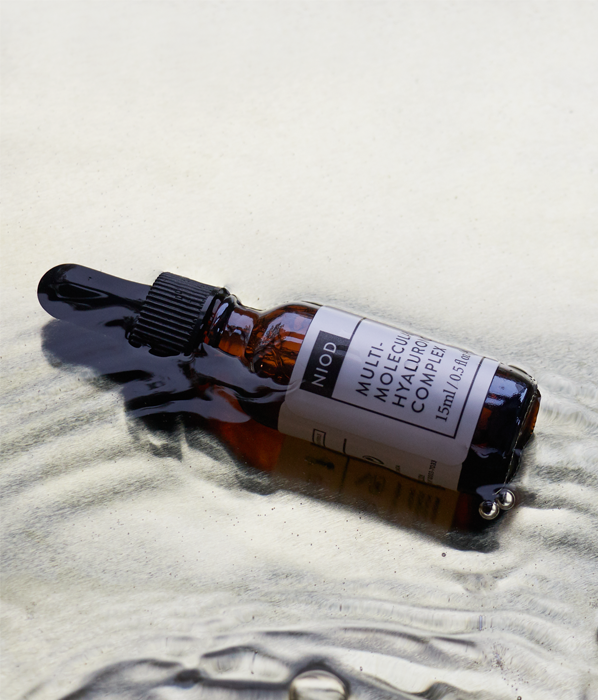 Similarly to the serum from NIOD this formula also promotes the skin’s natural production of hyaluronic acid. If your skin is severely dehydrated or nothing seems to be working on your fine lines and wrinkles, this product is the perfect skincare investment. This entry was posted on Tuesday, October 9th, 2018 at 9:46 am and is filed under Skincare, Tried & Tested. You can follow any responses to this entry through the RSS 2.0 feed. You can skip to the end and leave a response. Pinging is currently not allowed.